Children's books are one of my absolute favorite things. I don't know if it's my education background, or the fact that reading has always been something I love.. but now as a mom buying great books for my babies is the best! Not all books are created equal, people, haha! Now that Beau is pushing two and a half (cue my broken heart) we have a pretty established overall library and I'm excited to grow our seasonal collections of books. I also want to figure out a great way to organize seasonal books and share that too, so expect that soon! Some of these books for fall and winter we have, some are just on our wishlist! 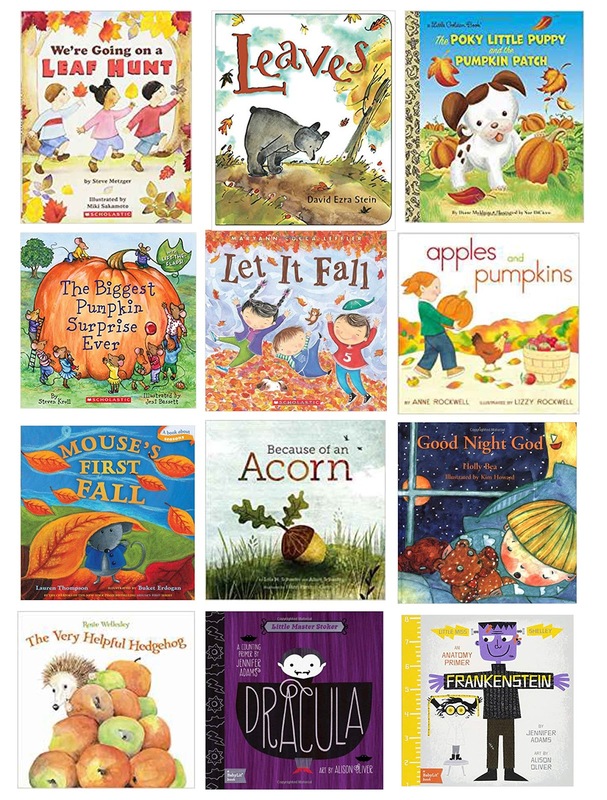 I thought I'd share because I know I'm not the only mama wanting to stock up on some great seasonal books. I actually already ordered a few of the Christmas books.. too excited! Haha. What are your favorite seasonal books? I'm always happy to add more to our wishlist! :) My absolute favorite of ours this season has been, "You're my Pumpkin Pie" by Natalie Marshal.